I am pleased to announce my very first official interview! And it’s in Publishers Weekly, no less. In it I expound upon the Deadglass Trilogy and the inspiration behind my haunted, alternate Seattle. I also chat about my favorite books growing up–all Young Adult Fantasy–and why I chose Norse/Babylonian/Native American mythology for the trilogy. The annual Brenda Novak Auction for Diabetes Research is underway. Every May, critiques, networking opportunities, goodie baskets, and once-in-a-lifetime trips are auctioned off to raise money for diabetes research. Last year the auction raised over a million dollars. In the past I’ve won writing critiques from Candice Hern and Lori Handeland, and a lunch with author Jenna Petersen at the 2008 RWA conference. I had a really great time. This year you can bid on a critique from my editor at Kensington, Peter Senftleben, which is currently a steal at $140. Love Seattle? New York Times best selling author and all around awesome Shelli Stevens is auctioning off a basket of Seattle goodies. 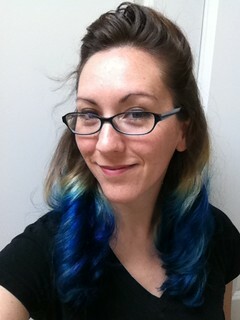 In other news, I dip dyed my hair Thunderbolt Blue. I now match my book cover. It is also possible that I liked Daughter of Smoke and Bone by Laini Taylor a little too much. If you are in the Seattle area, there is a fabulous romance reader and writer event this Saturday at the Covington Library. I will be there as a reader. Please introduce yourself if you get the chance! Sponsored by the Friends of the Covington Library and the Greater Seattle Chapter of Romance Writers of America. A lifelong love of reading led Meljean to writing, after a short detour into the world of accounting. She soon realized that monsters, superheroes and happily-ever-afters are easily found between the covers of books, so she set out to make her own. She writes Urban Fantasy and Steampunk Romance. By the end of this year, Alexis will have published twenty-five books, novellas and short stories, including contemporary romances, American West Historicals and Paranormal Romances. She has been nominated for numerous industry awards, including the RITA© from the Romance Writers of America, the top award in the romance genre. 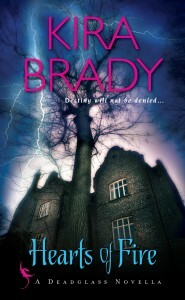 Her next release is Fantasy, the first book in a new series. Gerri is the award-winning author of six novels and one novella. 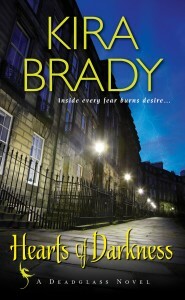 She is best known for her adventurous and emotionally intense novels set in 13th and 14th Century Scottish Highlands. A two-time recipient of the Romance Writers of America’s Golden Heart award and winner of the American Title II competition sponsored by Dorchester Publishing and RT BOOKreviews Magazine, she recently re-issued her books as ebooks to great success. With two nominations this year for the prestigious RITA© award, Stefanie’s books are quickly climbing the bestseller lists. An English major in college, she worked in Amazon.com’s Books editorial department before retiring to concentrate on her own stories. After deciding she’d rather write romance novels than dissect cadavers in medical school, Julia Quinn went on to receive several RITA© awards. Her writing has quickly earned a reputation for warmth and humor, and her dialogue is considered among the best in the industry. Her popular Bridgerton family books put her on the New York Times bestseller list, and she continues to delight her readers with books set in the Regency era. I woke up this morning to excellent news: Hearts of Darkness, my debut and the first book of the Deadglass Trilogy, earned a starred review from Publishers Weekly! I am so excited. Publishers Weekly also interviewed me about the series, and you can read it next month in the print and online editions. Full text version of the review, but you can also read it directly on the Publishers Weekly website here. So my first contest for advance reader copies for Hearts of Darkness was a success. Over 700 people entered on Goodreads and five won. I’m sending off the ARCs tomorrow. I still have a bunch, so keep your eye on this space over the next few months for your chance to win a copy. 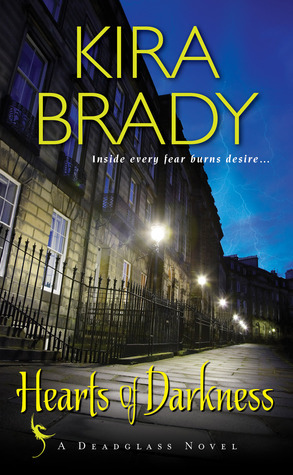 I’ll probably have another Goodreads giveaway in June and will give some away on blog stops. I had this plan to write a bunch of posts about the Babylonian New Year festival – Nisannu – which coincides with the Spring Equinox and features prominently in ze book. It was, as usual, a brilliant idea that lacked execution. I tell you, I used to be the queen of following through on those brilliant ideas. I also used to blog every day, back when I was blogging and thinking about writing instead of actually finishing the book. It is not incidental that I am currently not blogging and actively finishing books. So this space remains my NEWS! NEWS! NEWS! feed instead of my daily ponderings. In other excitement, today I celebrated at my favorite spot, the Queen Mary Tea Room, with my mother in law to celebrate her first publication, her short story in the february issue of New Mexico Magazine. I am so proud of her! She won the Tony Hillerman short story contest at the Word Harvest conference. 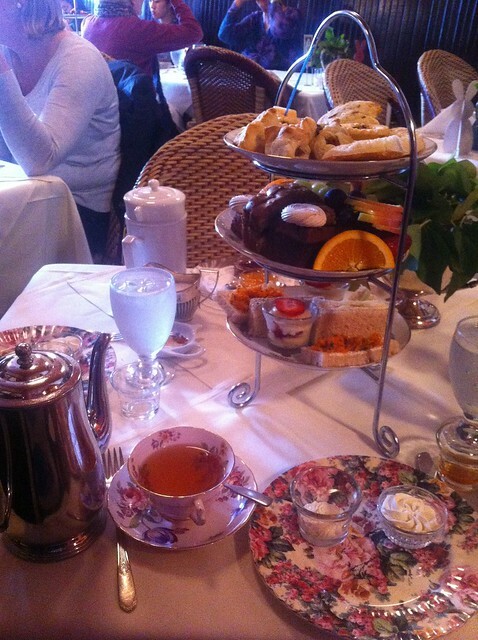 There is always something to celebrate with afternoon tea, but this one was extra special. Giveaway ends March 27, 2012. Filed under Uncategorized | Comments Off on ARC giveaway on Goodreads!! 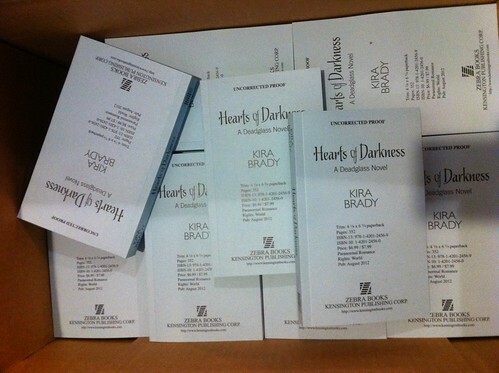 Advance Reader Copies for Hearts of Darkness arrived from Kensington. It’s such a thrill to see my book in print! I will be hosting a giveaway in the upcoming months, so please keep an eye on this space and goodreads. I have a shiny new author profile on goodreads, though I haven’t listed any books yet. 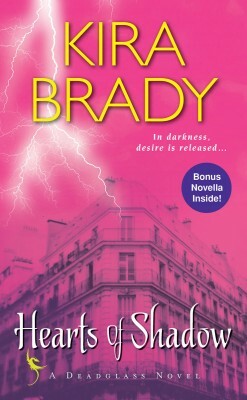 If you are a reviewer with a book blog, I’m also setting up a book tour for the release date around the 7th of August, 2012. In the prequel to a stunning new paranormal series, one woman’s desire for a forbidden man will spark a centuries-long supernatural conflict—and a love nothing can destroy. Filed under Hearts of Fire, The Deadglass Trilogy | Comments Off on Hearts of Fire: release date & cover copy! Dragons: fierce, evil creatures or benevolent, lucky beasts? It differs from culture to culture, but one thing is for sure–dragons have captured the imagination of humans for millennia. Welcome to the Year of the Dragon. Today starts off the Chinese New Year with fifteen days of celebration to ensure this is a year of good luck. The dragon is one of 12 animals in the Chinese zodiac. It’s considered the luckiest and is the only one that is, according to wikipedia, legendary. But maybe that’s just what dragons want you to think. After all, mythology from all parts of the world contain these serpentine, lizard-like creatures. Why would separate parts of the globe all believe in the same unreal being? Maybe there is a sliver of truth to the old tales. Dragon mythology differs from region to region. Sometimes dragons are good, sometimes evil. The European version eats damsels in distress. The Chinese version is divine. Some have wings. Others breath fire. They inhabit seas and craggy mountain tops. But no matter if we believe them to be the stuff of nightmares or hope, the stories almost always paint them as capricious, powerful, and wise. The oldest dragon mythology comes from ancient Babylon, where Tiamat, the Goddess of Primordial Chaos, is personified by a dragon. She is said to have birthed dragons along with 11 other monster races in her war against the gods. One of the ancient gates of Babylon, the Ishtar Gate, was carved with dragons. My hometown, Seattle, has strong cultural influences with mythologies of dragons: Native Americans, Chinese, and Norse. I drew from Native American and Norse art and legend to inspire the alternate Seattle depicted in the Deadglass Trilogy. Scandinavian immigrants built much of the city, giving us the legacies of Nordstrom, Swedish Hospital, and the Scandinavian neighborhood of Ballard. The ancient Vikings adopted the dragon as a symbol of their strength and sailed to conquest and adventure on their dragon ships. Loki, the trickster god, had four hideous offspring, one of which was a dragon that gnaws at the roots of the Yggdrasil, the tree of life. Northwest Coast Native American mythology talks of the Giant Animal people who lived before the humans. They could shape shift between human and animal form–including crows, whales, wolves, ravens, bears, and, best known of all, the mythical Thunderbirds. Thunderbirds have some similarities to dragons–being giant, fire throwing birds. But their arch enemies fit the bill even better: the mysterious Unktehila, who are described as dangerous reptilian monsters. The Sioux believed that the Thunderbirds destroyed these dangerous creatures, but what if they returned? What if the Thunderbirds only killed the local population, but there were still more dragons surviving in Europe, South America, Africa, and Asia? What if centuries later when the West opened up, it wasn’t just Scandinavian humans who arrived to plunder natural resources and build the new economies of the frontier? What if Norse dragons showed up and decided to claim territory in the Pacific Northwest for their own? And you know what dragons covet, don’t you?